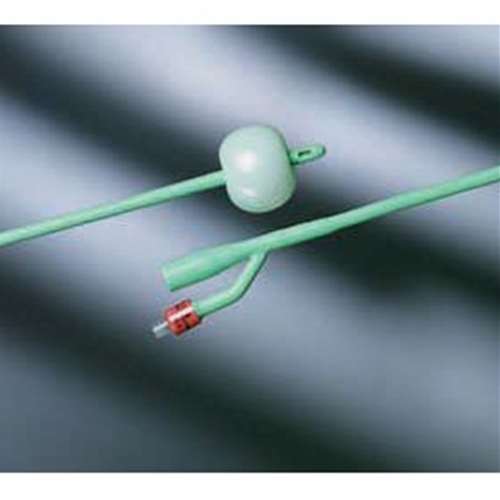 Bard Silastic 2-Way Foley Catheter from HealthyKin.com features a smooth, non-stick silicone exterior coating that reduces calcification build-up. It has a firm, but flexible, latex-based construction with a large drainage lumen. It is available with a 5cc balloon and two opposing drainage eyes, or a 30cc balloon with two staggered drainage eyes. FIRM BUT FLEXIBLE SO DOES NOT CLOSE OFF. CAN STAY IN FOR 2-3 WEEKS IF I CHOOSE.